When I launched this project in 2016, I thought it would be me and just a handful of folks. 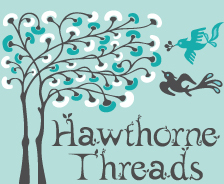 Turned out, there are LOTS of us who both love to sew AND love to read, and a pretty generous cross section of that particular Venn-diagram overlap are enthusiastic consumers of mystery stories. And I have spent a seriously deliriously happy few years indulging my passions with all of them. 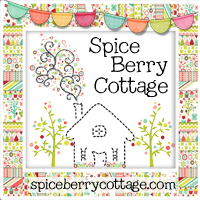 Each month, we have a new quilt block pattern, and a new chapter of a mystery story. 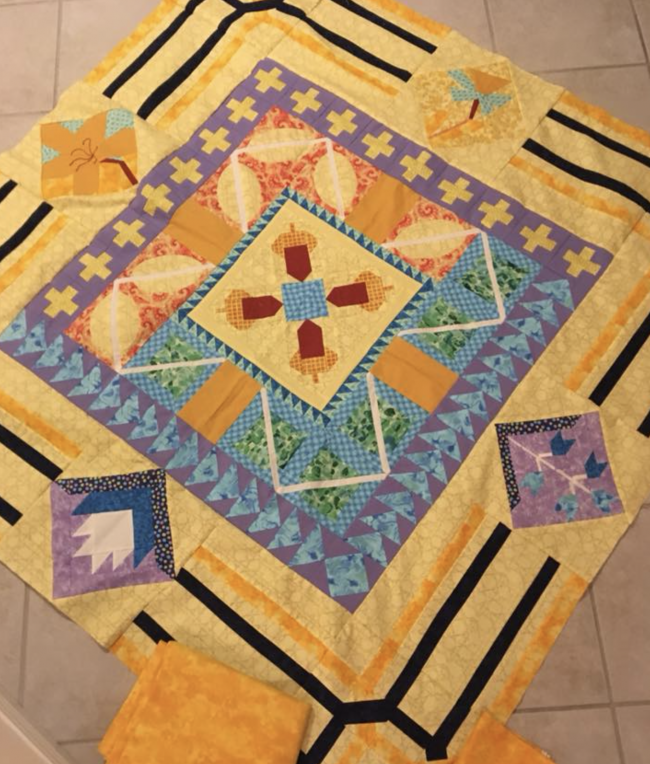 As the quilt goes together, there are clues to the mystery in the chapters, and we all get to assemble blocks and make guesses for who we think the killer will turn out to be. Along the way, SO MUCH has come out of this group that goes far beyond what I could ever have imagined it would become. 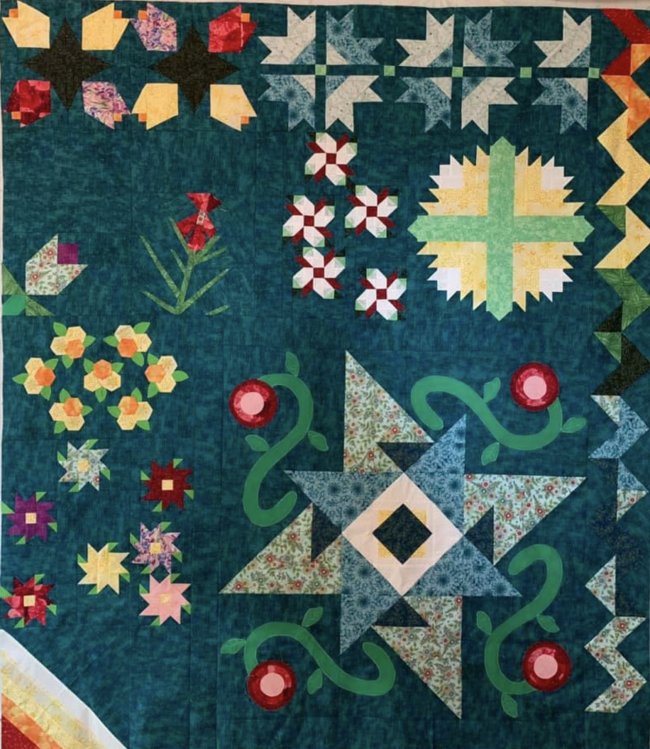 I’ve seen sisters and mothers and daughters and best friends quilt together from across the country, FaceTiming one another once a month and keeping in touch through their sewing. I’ve seen people on opposite sides of the globe become fast friends who ship each other care packages, and I’ve seen people living in the same city discover that they’re both in the group and begin meeting in person for monthly quilting dates. I’ve watched as members have experienced the loss of a spouse or a child, and the others in our group have rallied around them with warmth and love and thoughtful gestures of kindness, like sending meals or offering a listening ear. 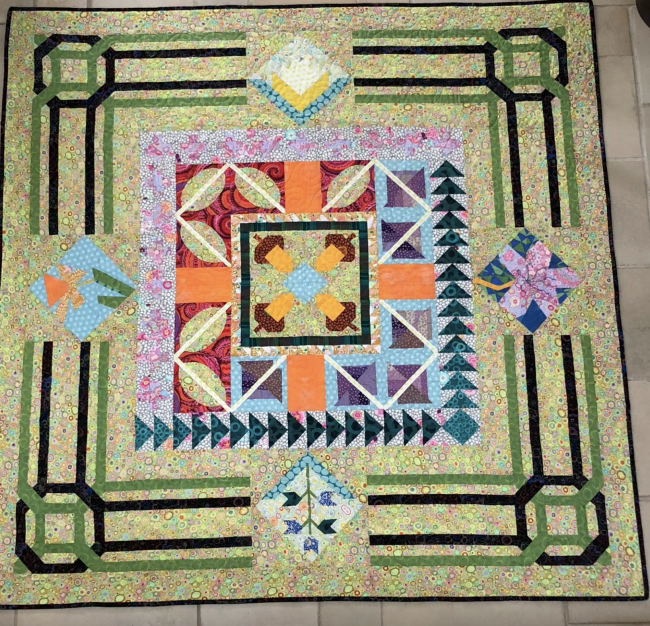 This past year, three of our members lost their homes in the Paradise, CA wildfires, and our quilters came together not only to re-create all the sewing they had completed before their homes were lost, but to make charity quilts for children who had lost their homes and schools. 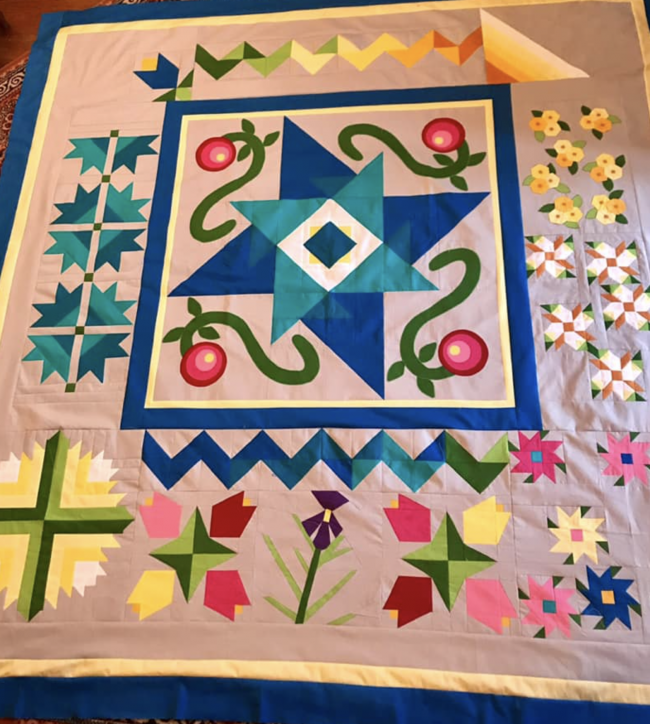 This is truly the warmest, kindest, most generous and communal group I have had the honor to be part of, and over and over I find that I have to pinch myself that I get to work behind the scenes for them, planning and prepping and scheming this quilt and story together for their enjoyment. 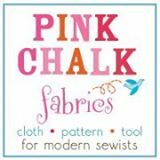 We’re doing a lot more than sewing over here, and a lot more than indulging my silly idea–we are building a community, and it is glorious. 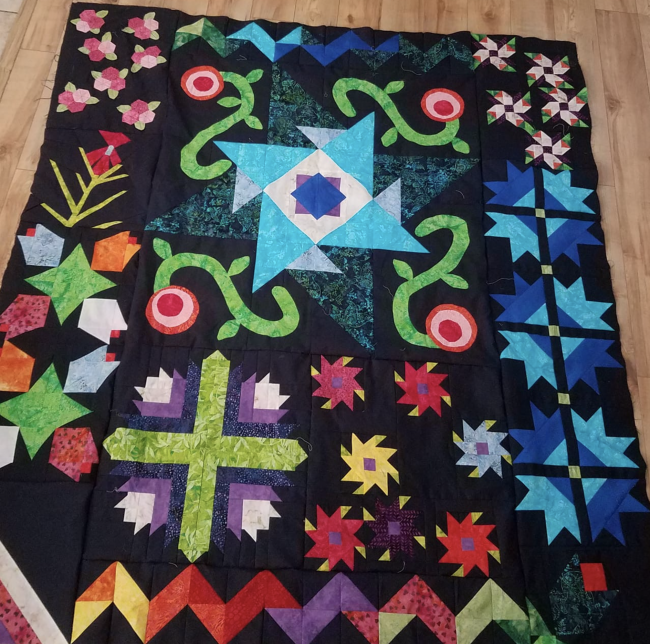 The 2019 quilt is well underway, and I hope I don’t flatter myself too much when I say I’m pretty sure it’s the best one yet. 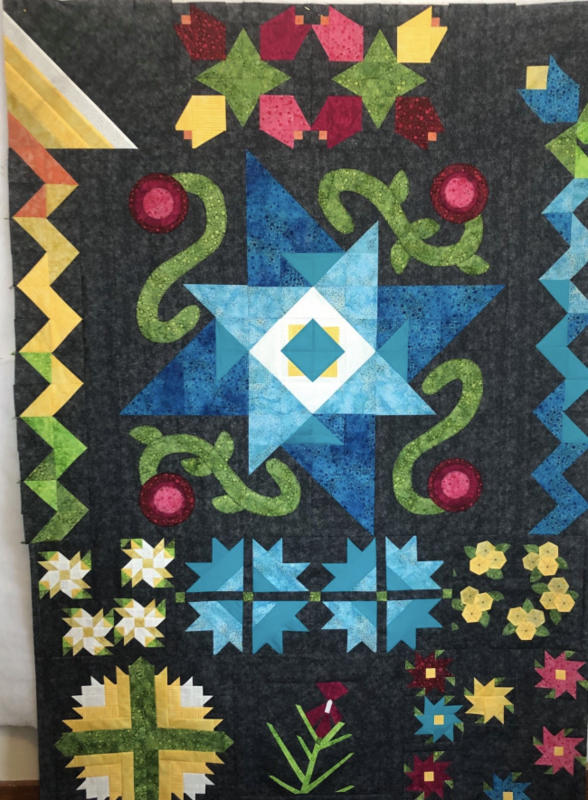 I’ve learned A LOT the past few years about designing a quilt that makes sense when constructed over a full twelve months, and about plotting a story that works with the quilt design. I’ve also learned a lot about myself, and about how to build and benefit from this incredible community. So this year is already off to such an awesome start–to say that I am both humbled and ecstatic doesn’t really capture the happy anxiety I’m having on my end. 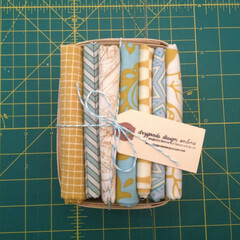 I CANNOT WAIT to see how these quilts come together, and to share them with the world. 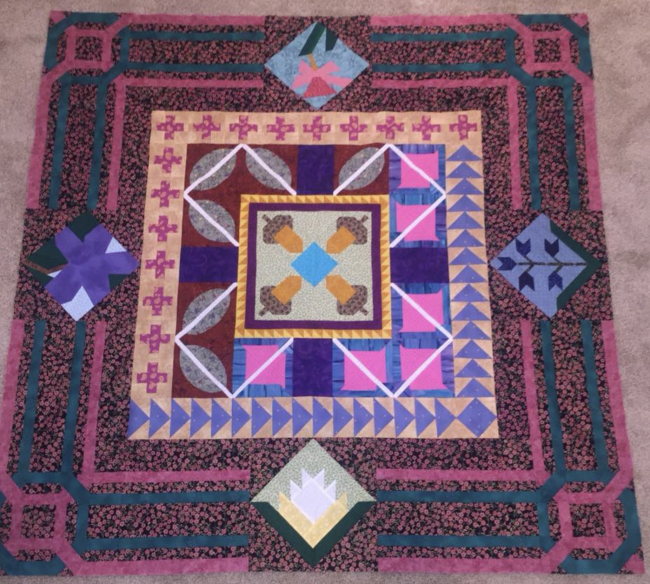 The photos of quilts in this post represent just a grab-bag handful of the finished quilts from the past two years. I could have shown you so many more that I truly love–both because they turned out gorgeous and unique and exciting, and because they represent a calendar year filled with kindness and connection. 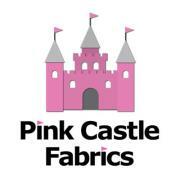 These truly are the nicest quilters on the internet, you guys, for real. 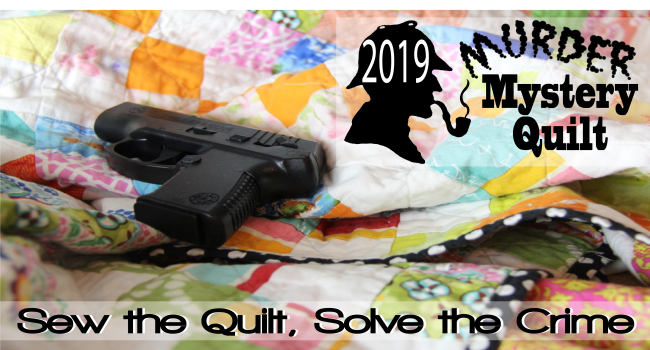 To read more about the project, and to come quilt with us in 2019, visit the Murder Mystery Quilt site. There is a place here for you, and I can tell you from experience that every member has made this group a dream come true. I’m so excited to see what you’ll make! Registration closes on February 12, 2019.